The Seattle Mariners found a remedy for their recent slide with the struggling Baltimore Orioles. Seattle had lost six of seven before travelling to Camden Yards for a four-game series. 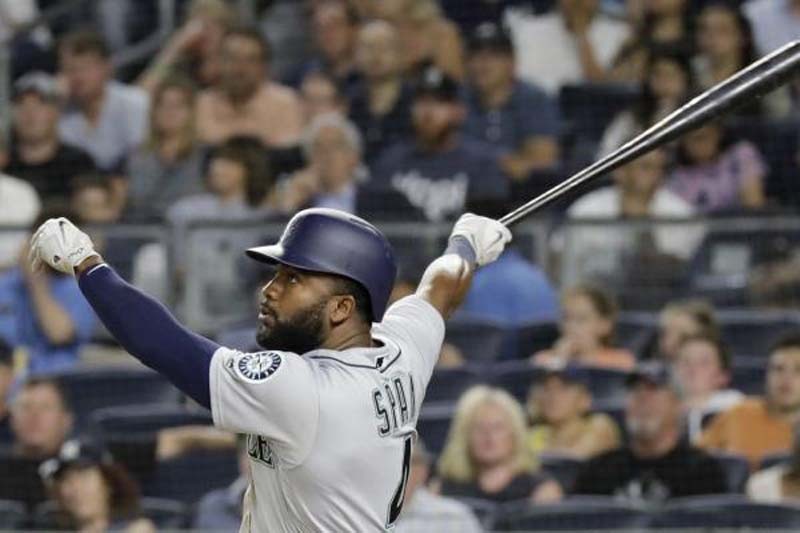 The Mariners, who are trying to keep pace with first-place Houston in the American League West, have already taken the opening two games in Baltimore. Mariners left-hander Wade LeBlanc (3-0, 3.26 ERA) will pitch the third game of the series Wednesday. He has been one of Seattle's most consistent pitchers this season. LeBlanc is 1-2 with a 4.50 ERA in four career appearances, including two starts, against Baltimore. He will be making his first start at Camden Yards. "You go where you think the opportunity is best, and if it's not, you kind of audible out and see what else is out there," said LeBlanc, who signed with Seattle after being released by the Yankees in spring training. The Mariners are also getting a boost from their bullpen. As a result, manager Scott Servais might be sporting a new look in the not-too-distant future because of a bet he made with Edwin Diaz earlier this season. Servais said he would get waves identical to the ones shaved into the side of Diaz's head if the closer managed at least 50 saves this season. Diaz recorded his league-leading 29th save Tuesday night. "I'm looking forward to the day; others in my family are more concerned," Servais said about the potential haircut Tuesday. "It's part of the deal. It's what you sign up for. It was all in fun." However, designated hitter Nelson Cruz, who is batting .270 with 20 homers and 48 RBIs, was scratched from the lineup Tuesday with lower back tightness. He snapped a string of 32 consecutive appearances. His status for Wednesday is uncertain. Meanwhile, Baltimore (23-55) is jockeying with Kansas City for the worst record in the majors. Alex Cobb (2-9, 6.56 ERA) will try to get the Orioles back on track. Cobb had an encouraging outing against the Braves on Friday when he allowed just one run over seven innings. "You notice more when you do make mistakes over the middle of the plate," said Cobb, who has gone seven innings in each of his last two starts. "They're not usually line-drive hits. They're usually ground balls that if they don't find somebody, they're just right out of reach. Getting ground balls on mistake pitches really tells me that my delivery is in line and the ball's coming out the right way." Cobb is 2-4 with a 6.81 ERA in seven career starts against Seattle. The Orioles got more bad news on the injury front when starter Dylan Bundy was placed on the 10-day disabled list with a sprained left ankle. Bundy suffered the injury running to third base Saturday in an interleague game against Atlanta. Showalter expects Bundy to return for a July 6 game in Minnesota. In a corresponding move, reliever Donnie Hart was recalled from Triple-A Norfolk on Tuesday to fill out the pitching staff. Bundy is 6-7 with a 3.75 ERA and 1.208 WHIP in 16 starts (96 innings). Showalter has not decided which pitcher will make the start in Bundy's place in the series finale against Seattle. "I want to make sure that we are able to physically keep people out of harm's way and get through these games and compete in these games, and then we'll see what's standing when we get through Thursday," Showalter said.